I have a disability called Spinal Muscular Atrophy which means since birth I am weaker than my peers. 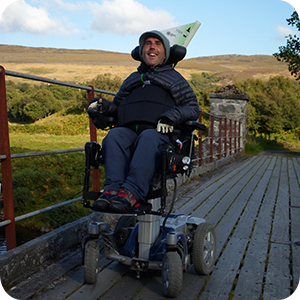 I’ve learnt to overcome my limitations by using an electric wheelchair, having full time care support, using mobility aids and various other methods. Despite my love of life, worldly adventures and social enterprise; I was susceptible to colds, chest infections, (literally) cold feet, fatigue and general low immune system. In the summer of 2012 I was offered Todas ‘heart of gold’ drops. I was very traditional in my medical knowledge and experience. However as my girlfriend Kasia explained the way the drops worked, and most importantly why they couldn’t harm me I thought “why not”. I was then wary of the different taste, unusual smell, chilli kick and potential need of the toilet for a few days. Thankfully I stuck with them for a few days, got uses to the taste, realised the smell disappears and got past the cleansing process. With no chest infections, let alone colds; I was able to travel and work the whole way through the cold and dark months. Furthermore I had warmer feet and definitely more winter energy than usual. Finally in September 2013 Kasia and I went from John o Groats to Lands End by wheelchair and bicycle. We both used Toda drops. I’m convinced the gruelling 1000+ mile journey wouldn’t have been physically possible without Heart Of Gold. I underwent heart surgical procedure, having 5 bypasses. I stayed home except when my wife drove me to my doctor’s appointment. She also had to drive me to the water plant I was operating for a place of business, helping to lift a heavy door so I could read the water meter and check the chlorine residual. The next month I would walk about one-half block from home and back, then need to take a nap. My doctor recommended I go to the gym on a regular basis to improve my health, so I joined the local gym. After about 10 minutes walking slowly on the treadmill I was exhausted and on the machines they recommended for me, I worked with a light load. The thought of push-ups or chinning on the chinning bar was thoughts only. I was 78 years old and felt it, telling myself to be happy I could do that much. I attended a Bible Conference in the south part of Vancouver, Canada, and staying with a friend who told me about Toda’s “Heart of Gold Formula”. At that conference I met Mrs. Chocyk, who was about my age and on whom the doctors had refused to do heart by-pass surgery five years earlier because they felt she would not live through the procedure. Her daughter, had not given up because she worked until she found the formula for her mother’s health problem. This is the very same formula produced by Toda Herbal International, Inc. now. When I returned home to St. Augustine, Florida I called Krystyna at Toda Herbal International and ordered a bottle of “Heart of Gold Formula”, and she explained to me that it would help my arteries clean up, as well as improvements in strength and endurance. She was a true prophet for by only few months, I could stay on the treadmill walking for 40 minutes at average rate and I could do 14 to 15 chin-ups and 25 push-ups. I took part in a chinning contest and did 28 and came in fourth in the contest and could stay on the treadmill walking at a fast pace for 50 minutes. Now, I no longer feel like the old man that I am. I went to see my doctor and here is my present condition, for the doctor took me off all prescription drugs. Blood pressure about 125 over 65 to 70, my heart beat at ease runs 66 total beats a minute, my cholesterol total is 154, HDL is 53 and LDL is 89, trigs 57 and my physical ability is now 36 to 37 chin-ups or pull-ups, about 50 push-ups on the leg press machine I can do 25 reps at 510 pounds, on the treadmill, I can set it at 6 degree elevation and walk fast for an hour or more with no trouble. As my arteries continue to clean up and my health continues to improve, I plan to do 40 chin-ups or pull-ups. If this sounds like bragging, that is not my purpose. My purpose is to tell people that have lost hope in restoring their health to try Toda’s “Heart of Gold Formula”, for Hope is ahead. At age 74, having survived two heart attacks, with blood pressure between 180/90 and 220/110, I was visiting hospital emergency wards on average 3 to 4 times a month; with my serious heart condition, I wasn’t offered by doctors much hope for continuing survival. They could not operate on me because I was too weak to survive a surgery – my heart was damaged to the point where it could not endure any invasive surgical procedure. In fact, I was prepared to die. I suffered from serious breathing problems and terrible chest pains that practically paralyzed me. According to doctors, modern medicine wasn’t able to help me anymore. My life was concentrated on surviving one crisis after another. It was devastating to spend most of my days at home doing practically nothing for a few years. The worst crisis came when heart specialists said: “This is all we can do for you”, which meant they weren’t going to try anything else. My daughter had been trying for years to find the best combinations of vitamin and mineral supplements as an alternative therapy but this proved to be not enough anymore. After I took the first dosage of the heart drop Formula my quality of life rapidly improved from that moment on. Within a short time my chest pains started to diminish. The next weeks and months brought a gradual reduction of my blood pressure and I was able to breathe more easily. My life slowly started returning back to normal. I felt better; in fact I felt so much better that, just two months after starting the therapy, I decided to visit my native Poland. Before that, doctors would never allow me to travel because I was too weak for a long flight. Now, my doctors could not believe their eyes, so dramatic was the change in my health. It has been five years now since the start of my therapy. Recently I went for a check-up to my heart specialist. He told me not to worry about my heart because it is as sound as in a healthy twenty-year-old woman. At 58 I suffered a heart attack in 1996. Tests were done and the doctor confirmed heart problems. He prescribed several medications for my heart, cholesterol and high blood pressure. I always had low blood pressure prior to this. One medication was Baycol which I took for three years before finding out that it had been banned for the damage it could cause to the liver. I was also taking several Tylenol #3 daily for back pain and muscle spasms in my legs due to a work related injury in 1980. In September 1999 I had Angioplasty for clogged arteries and advised that I would need by-pass surgery within a few months. The side effects of all these medications became worse on a daily basis with severe spasms in my body and excruciating headaches from the heart patch. In October of 1999, I decided to stop taking all the prescribed medications, not something I would recommend to anyone, as I was told it could be dangerous but I could no longer live that way. In my case it proved beneficial to just take heart supplements as in time the pain and muscle spasms ceased. I still had Angina once in awhile and in August, 2003 I was hospitalized for 6 days. A Treadmill test was done also a MIBI test and an Electro Cardiogram which showed I still had heart problems. I refused to take any prescribed medications and told my doctor I wanted to continue the natural way with herbal supplements. He reluctantly agreed. In October 2003, I started taking Heart of Gold Formula, heart drops and after approximately six months there was no more Angina pains. The same tests were repeated in January 2005 which showed my heart was fine. I had my last visit with the heart specialist who said that I no longer needed to see him and to keep doing what I was doing. I still take Heart of Gold regularly on a maintenance basis. My cholesterol and blood pressure are normal. I wanted to write and tell you about the wonderful results I’ve had with the TODA drops. I’ve been sick for years with Hepatitis C and high blood pressure. The hepatitis is untreatable with Conventional Medical treatments because all the doctors were afraid the treatment might kill me because of the medical issues I have. Blood tests revealed my liver enzymes were high – twice the normal rate which meant my liver and rest of my body were under attack by the Virus and I was getting sicker. I also had blood pressure which was difficult to control even with medications. I was taking 3 different medications twice a day and my average blood pressure was 140/98 sometimes it would reach 180/105 even on the medication. About eight months ago I started taking the “Heart of Gold” drops. With in 1 month my blood pressure dropped so much I began to decrease the dosage of medications. My average BP is 110/80 and this is with only half the dose I usually had to take. The other big news is after only six months of taking the drops one of my liver enzymes is normal and the other one is coming down slowly. I am not out of the woods yet but I am getting better. My goal is to be free of the Virus in two years and to be off all blood pressure medications at that time. I have been recommending TODA to everyone I know with liver and blood pressure problems. It’s the only product that helped me and has given me new hope for a better life. About 10 years ago my right ankle and foot started swelling. It would swell on and off for the first 5 years. We spent $12,000 on tests and x-rays of every kind you can imagine, and they never did find out what was causing the swelling. I finally said enough is enough and stopped going for anything else. By then my right foot, ankle, and leg were about twice the size of the left one, and they never went down anymore. They would swell bigger sometimes, but they never went down. The top of my right foot looked like a balloon had been blown up under the skin. I was taking water pills the doctor prescribed for me every day to try to take the excess water off of me. They didn’t work, but it did help some. At least my foot and leg didn’t explode!! I couldn’t wear regular shoes. Even buying larger sizes didn’t work because the top of my foot was so huge. I had to wear a big pair of flip-flops that didn’t bind on my foot or elastic bedroom slippers to Church and out in public. This was awful and even worse when it was raining! The swelling finally went all the way up my right side and for the last few years my whole right side was bigger than the left side. You could even see the difference in the size of the right side of my waist! By then I was so miserable. I hurt constantly, and I LIVED on Advil, most of the time taking five and six doses a day. It would give me the only couple of hours relief I got the whole day and night. I would take a couple of Advil to be able to go to sleep and sometimes wake in the night in so much pain I would have to take something else. The pain was an ache way down deep inside and sometimes I would just sit and rub my leg and just cry from the ache and weariness. My ears were screaming (they had gone past ringing!) from the amount of Advil and pain meds I was taking. 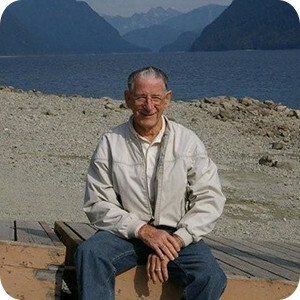 In January 2005 my husband, W.C. Godwin, had a heart attack and 4-way bypass surgery with many setbacks. They had to put in a pacemaker because he died twice and he was gone so long the last time that his organs started shutting down. When they got the pacemaker in and working everything came back except his kidneys. He is still having problems with his kidneys. He was in the hospital 3 weeks and had only been home one week when he had to go back in with congestive heart failure. He stayed one week that time. In the past 3 years he has been in and out of the hospital 7 or 8 times with different problems. By the time they got through medicating him he is on 10 different medications a day, and he has been on as many as 16 different medications a day. This was going from someone who MIGHT take a couple of aspirin a year. He really does hate having to take all this medication. Last September he walked to the farm next door just to talk with the guys. Mr. Everett Masters works for the people who own the farm. My husband asked him how he was doing, and Mr. Masters told him that he felt better than he had felt in years (Mr. Masters is 71) and started telling my husband about the Heart of Gold drops and the wonderful results he was getting from them, and about how good the man who got him on the drops (Charles Falkner) was doing. WC came home and told me what Mr. Masters had told him. Well – neither of us had felt good in a VERY long time. I originally wanted to get on the drops for us to have more energy. I told him if it helped us even half as much as Mr. Masters then it would be worth every penny. We called Charles Falkner that day and he brought a bottle to us the next day. When he told us what Heart of Gold had done for him we knew for sure we wanted to try it. If Heart of Gold was able to get my husband off of even one of those high priced medicines we were now having to buy for him every month it would more than pay for a bottle of Heart of Gold for both of us. Even if he didn’t get off any medications, just to feel better would have been worth it all. We started taking it right away.! Within 3 days the constant pain in my right leg was gone. Within 6 days the swelling started going down. My foot had been swollen on the top of my foot for so long that the skin wiggled when I walked!! My whole right side was smaller. There has been gradual improvement since then, and I hardly have any swelling. When we started on the drops I weighed 235 pounds. Right away I dropped 15 pounds. I really think that initial weight loss was the swelling going down. Since then I have lost 25 more pounds for a total of 40 pounds. When I started in September I had a couple pair of jeans I wouldn’t even get over my hips. They are size 22. The smallest I could get into was a size 24 and they were so tight I could hardly breathe in them. Now I can’t wear them because they are too big – I can pull them up and down without unzipping them! I bought a new pair of jeans the beginning of January and they are size 16W. YEAH! My husband has had a problem with night incontinence since his first heart attack in 1985. Most of the time he would have to go about every 30 minutes all night long. Needless to say, he didn’t get much sleep. This was really a problem before he re- tired. After just a few days on Heart of Gold he stopped having to get up at night except maybe a time or two. He is resting so well, and we are both feeling so very good. 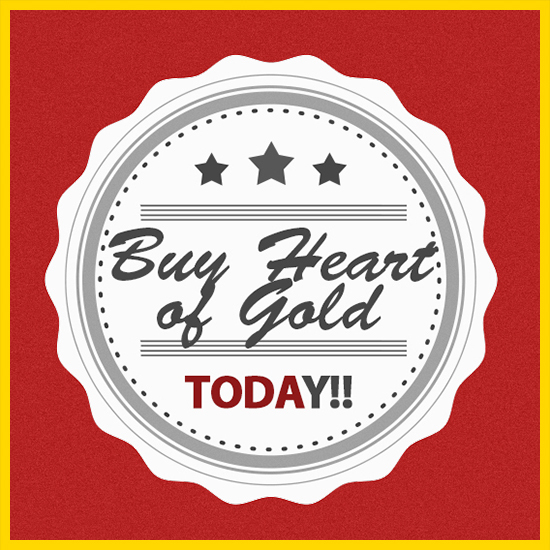 I told my husband the only way I will be without Heart of Gold is if you stop sending it to America (PLEASE DON’T!!!). There are other things that are so much better since Heart of Gold. My skin looks so healthy. The whites of my eyes are really white instead of yellow. But the most wonderful of all is how good I feel, and how good my husband feels. Bless you again. Having relief from the constant pain has been such a marvellous miracle. I constantly thank God for you and Heart of Gold. No part of this site is intended to diagnose, treat, or cure any illness. Nothing on this site is to be construed as medical advice; the authors are not doctors. Please discuss your personal health, including any options or ideas you may read on the internet (on this site or others) with your personal, qualified health practitioner before making changes to your diet or adjusting/discontinuing any medication. We are not responsible for any adverse outcomes associated with using or misconstruing advice or information on this site. TODA Heart Of Gold Formula is Approved and Licensed by Health Canada as Safe and Effective to Support Cardiovascular Health. It Has Also Been Recognized and Awarded by Panels of European Cardiovascular, Diabetes and Obesity Experts for its High Quality and Effectiveness.